Mark Knight grew up in Massachusetts, USA. Settling in the UK, Mark continued to write novels of differing genres, including horror and television scripts. Mark has worked on feature film scriptwriter, having scripted two horror scripts for Hollywood’s Little Slices of Death production company and one for Illusion Studios. He also won several short story competitions, and has had his work featured in published anthologies. Mark concentrates now on Young Adult fantasy/horror/science fiction novels. ‘Blood Family’ – Seventeen-year-old Daniel Dark has a pretty random life – until he gets a message from his true father, a vampire. ‘The Ones’ – Psychic powers within a small group of fifteen-year-olds in a quiet American harbour town leads to a summer of self-discovery…and a life on the run. 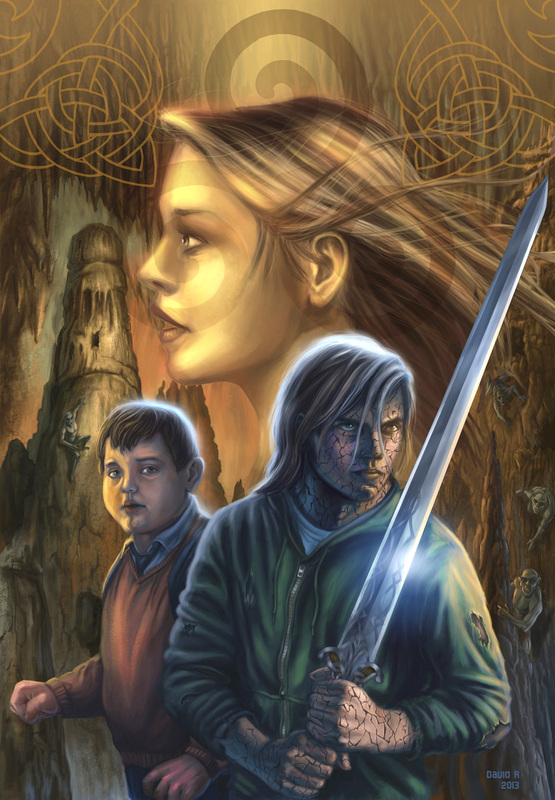 ‘Solomon Grimm and the Well of Souls’ concerns a cursed British teen as he enters the dark and dangerous realm of the Celtic Otherworld in search of a cure to his undead condition. ‘The Powers’ follows 18-year-old Gunner Robinson after his life is turned upside-down by the revelation that he originally came to earth as a Protector – a powerful warrior angel. E-BOOKS OF THE ABOVE TITLES ARE ON THE WAY! COMING SOON. Hello, Mark, and thanks for visiting my blog! Your books sound very intriguing! Hello Mark, I love your tag line! Thank you Julia! It says what I feel. And what all humans feel to some extent I believe. The tag line was originally Its Perfectly Normal to Love the Paranormal, by the way! !